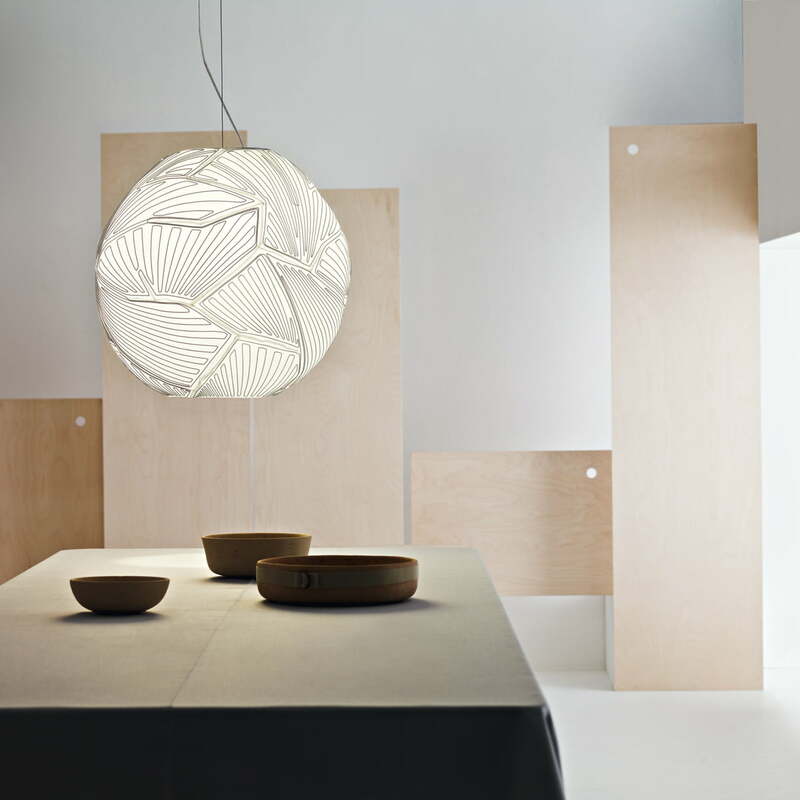 Planet by Foscarini is a structure-less tissue suspension lamp of the design office Changedesign. 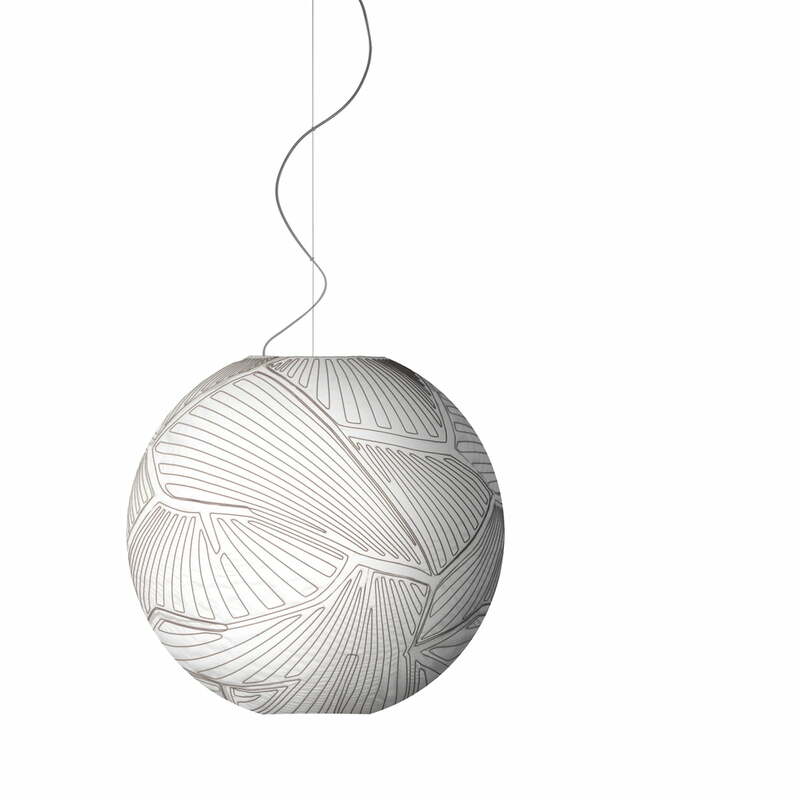 Each Planet lamp consists of a tissue-fabric that was embroidered with 20 meters of wire. A large part of this sophisticated manufacturing occurs by the tradition of classic handicraft and not industrially. 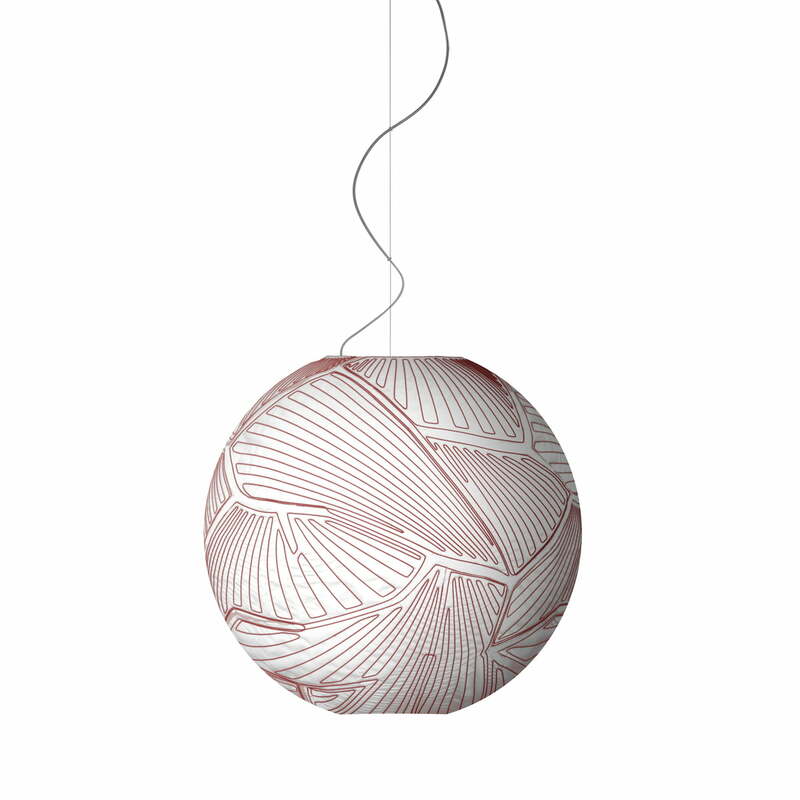 The wire that was embroidered in the tissue of the Planet pendant lamp forms an exoskeleton that keeps the lamp stabile, without including additional constructions in the inside. 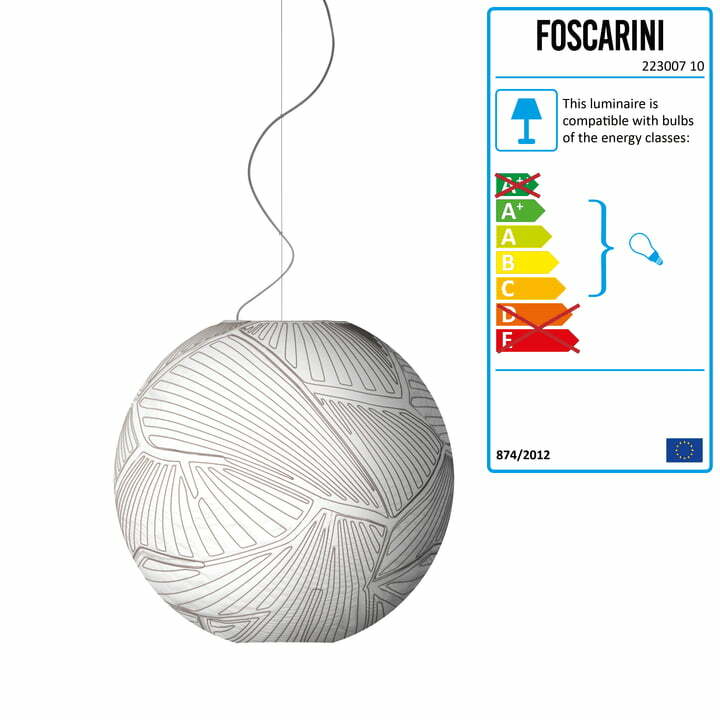 If the lamp is powered, the wire structure of the Planet lamp appears three-dimensionally and the whole lamp looks like a distant planet. 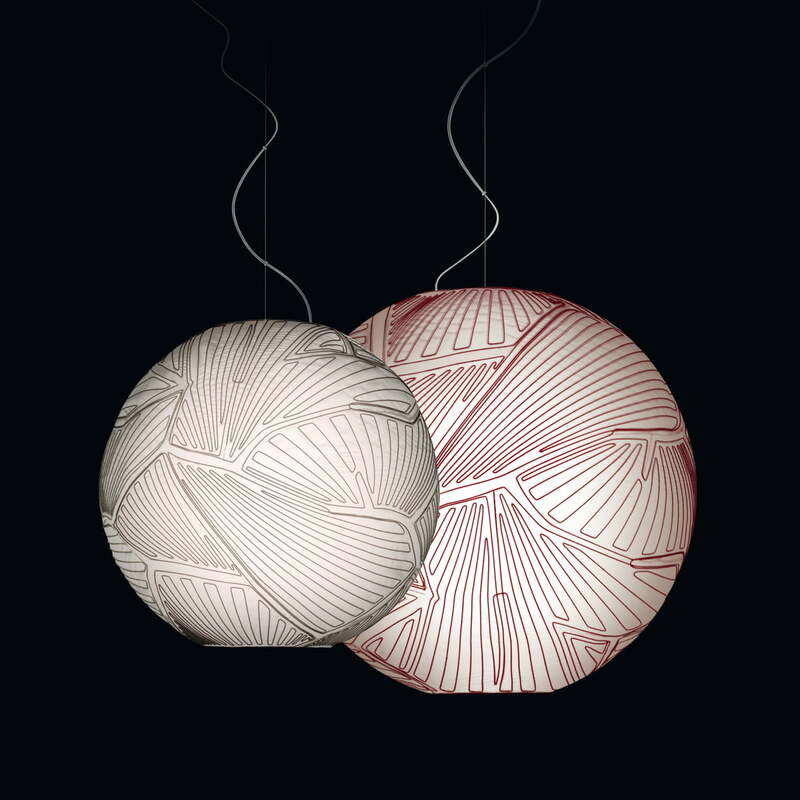 Equipped with a snow-white diffuser, Planet changes its character with both colour-variants of the thread: if it is white, the lamp gets a rather classic appeal; if it is red, the lamp presents a modern effect. According to your demands, Planet suits private surroundings as well as public areas.